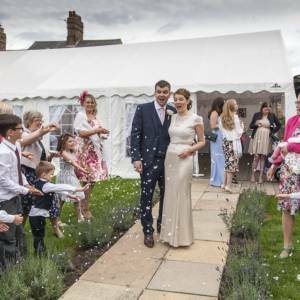 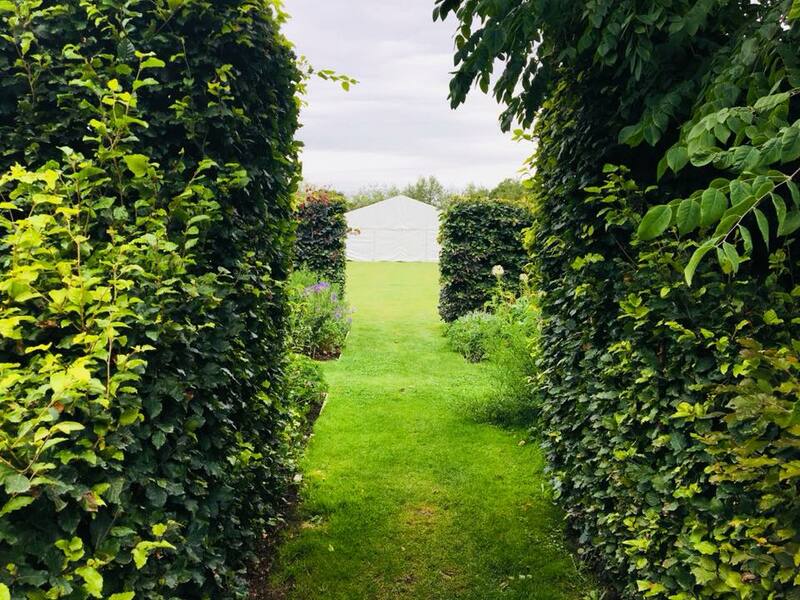 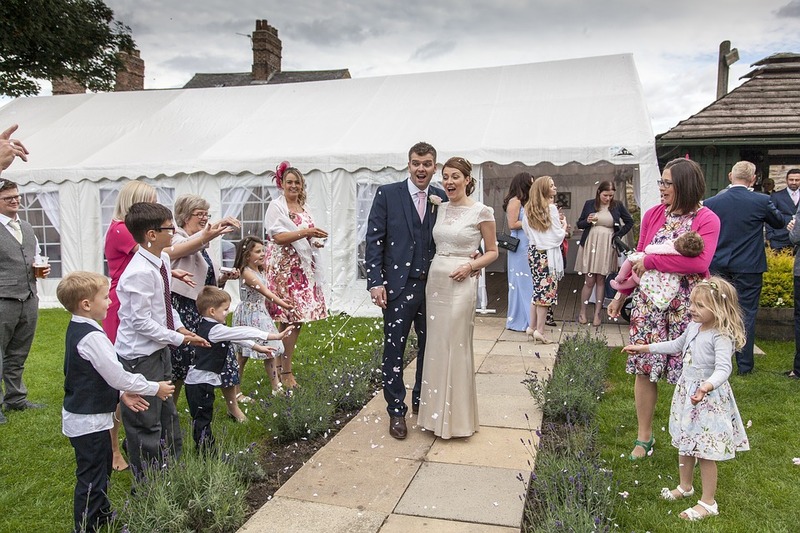 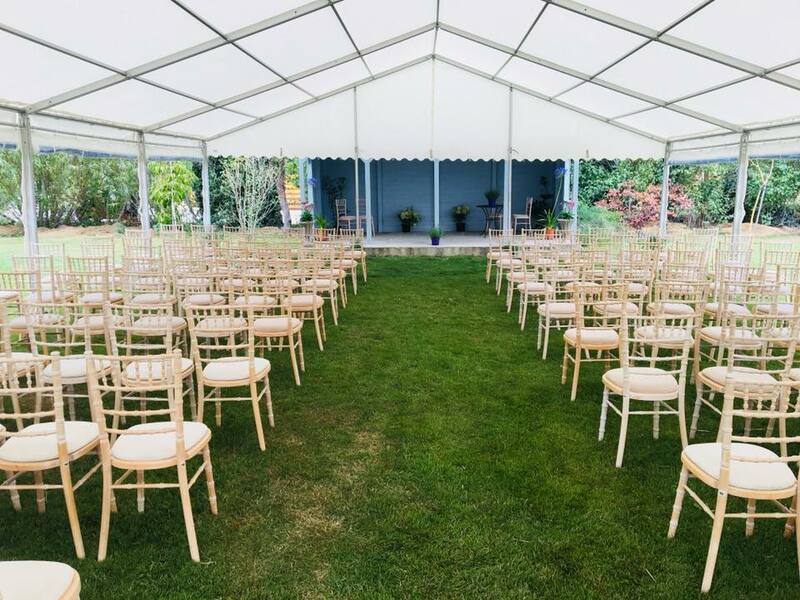 In the summer we were asked to provide a marquee for a wedding at Holme for Gardens. 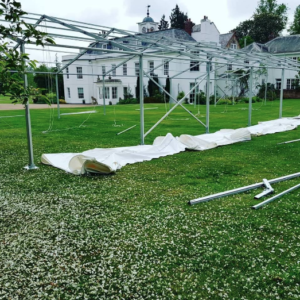 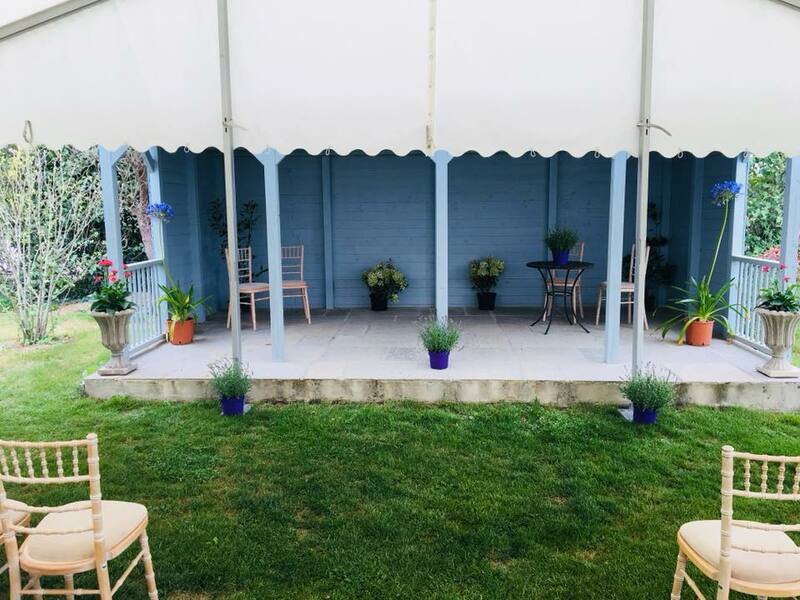 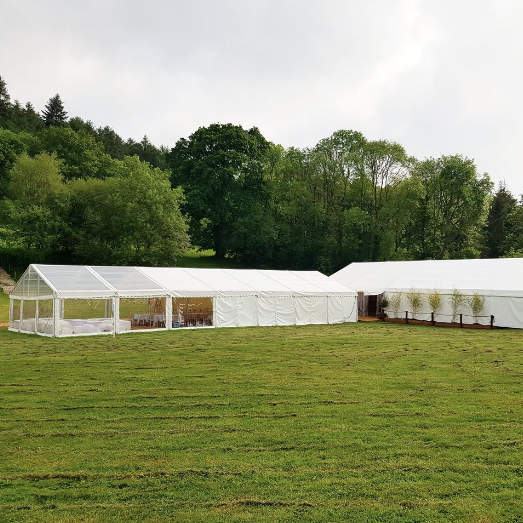 The client required a marquee due to a slight weather change and wanted to ensure their guests were kept dry during the ceremony! 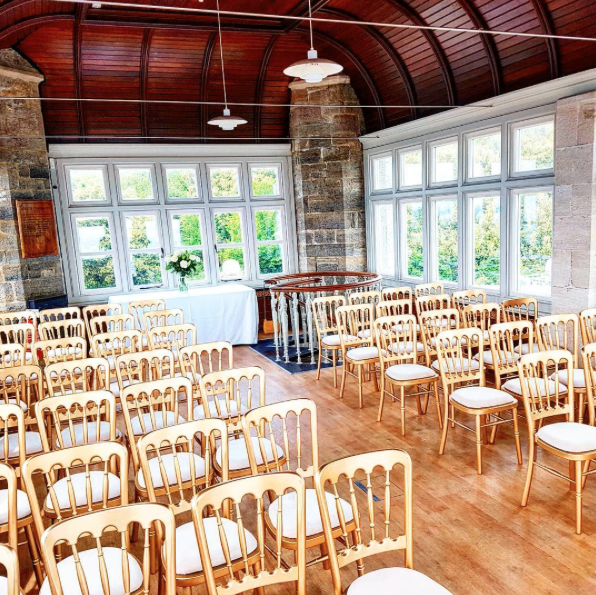 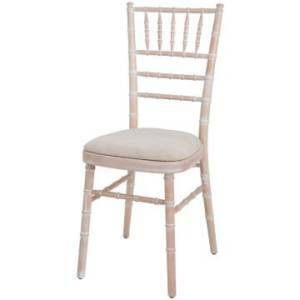 We also supplied all furniture including chiavari chairs and 6′ round tables. 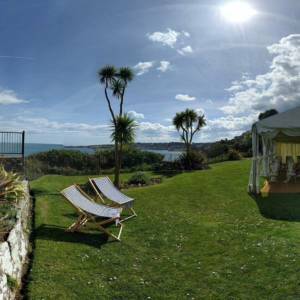 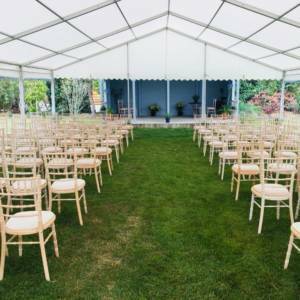 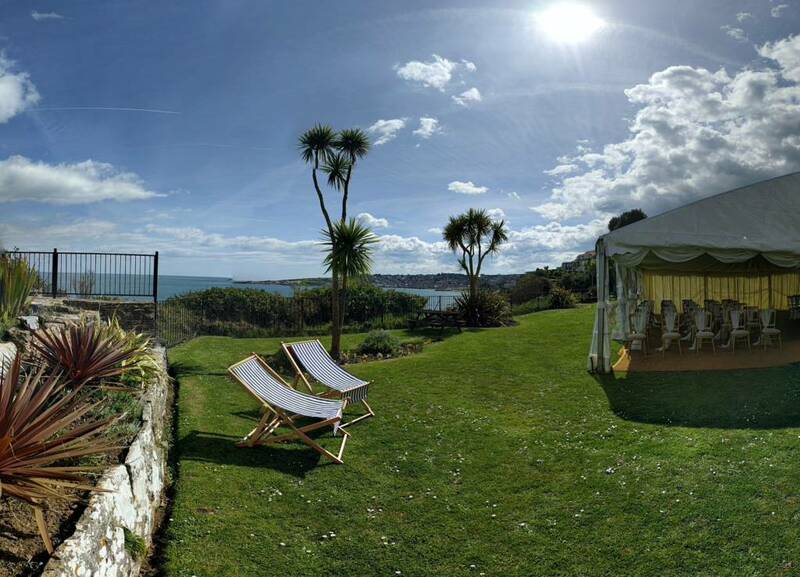 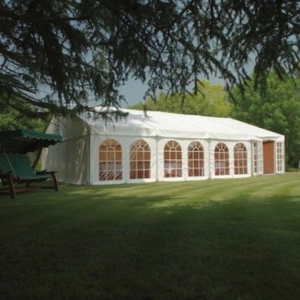 We offer Wedding Marquees in a range of sizes with options for clear walls and roofs. 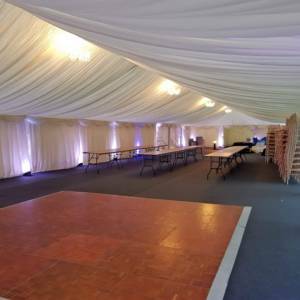 As well as supplying the marquee, we can provide a range of chair options, tables, dance floors and lighting. 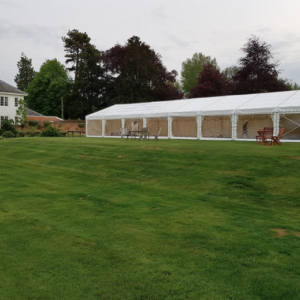 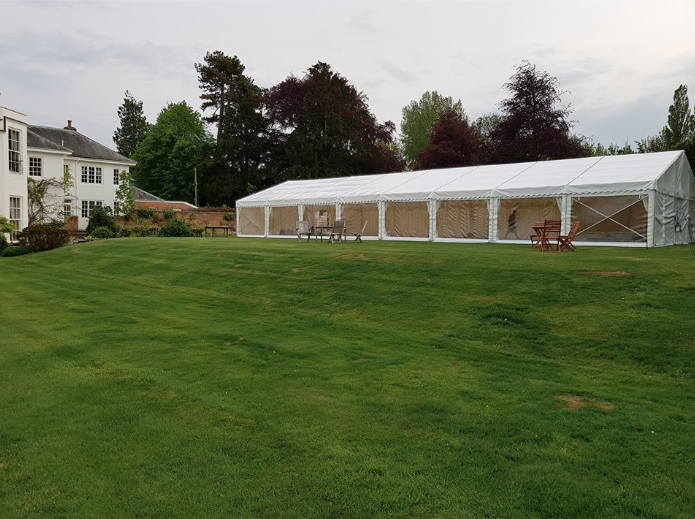 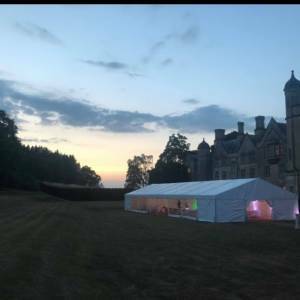 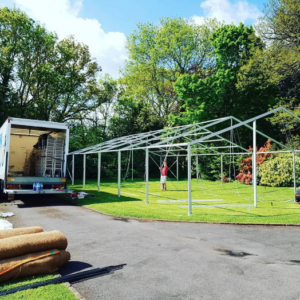 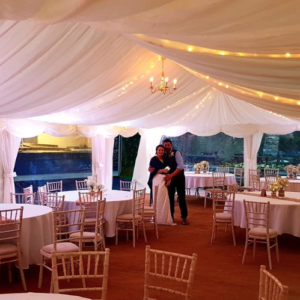 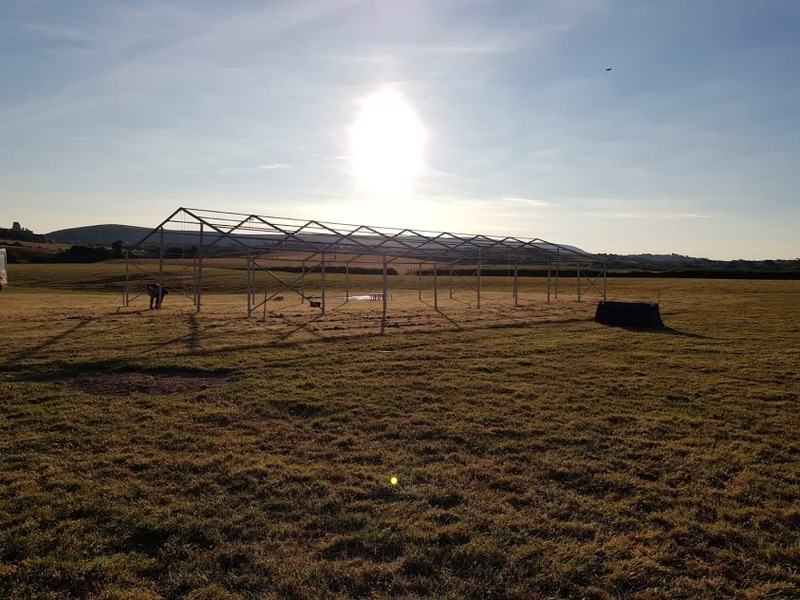 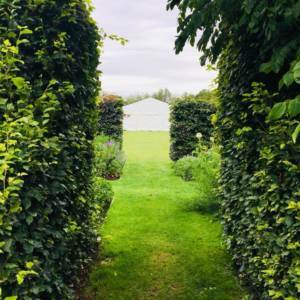 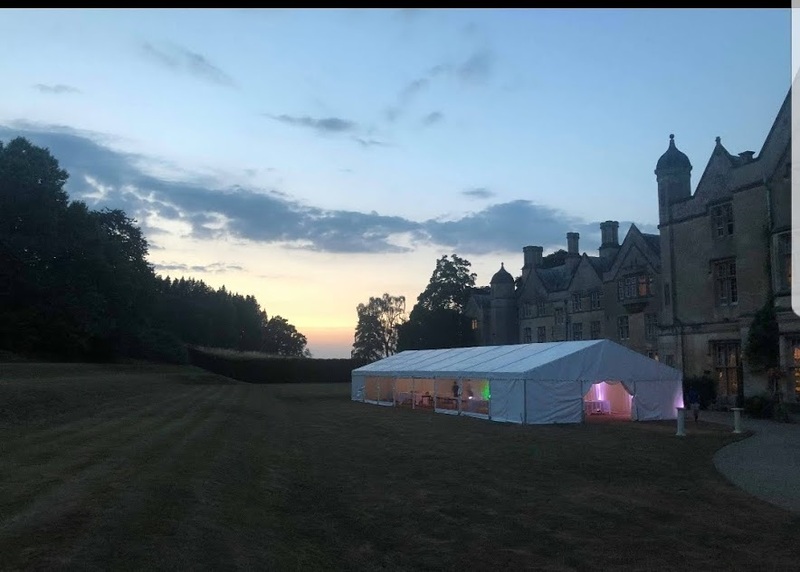 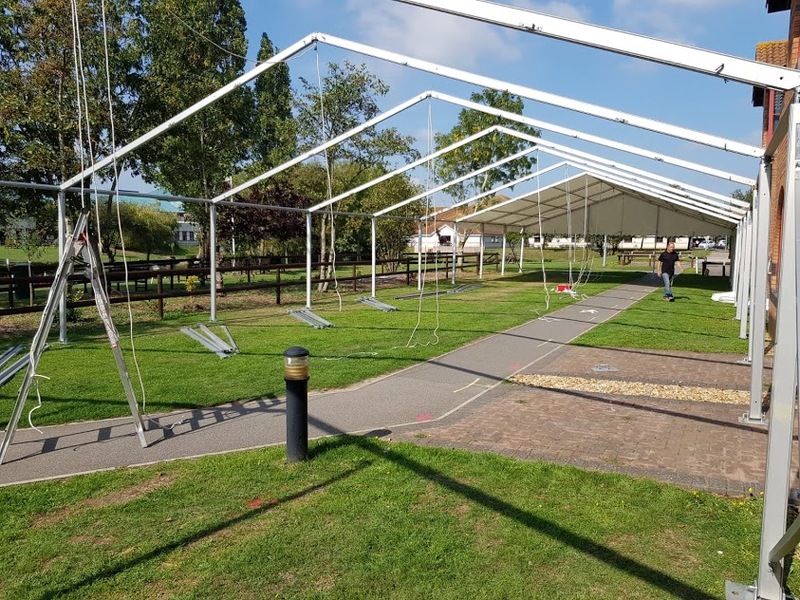 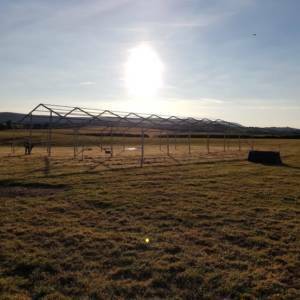 If you’re looking for something special or more unique then we can help you design your perfect marquee for the occasion. 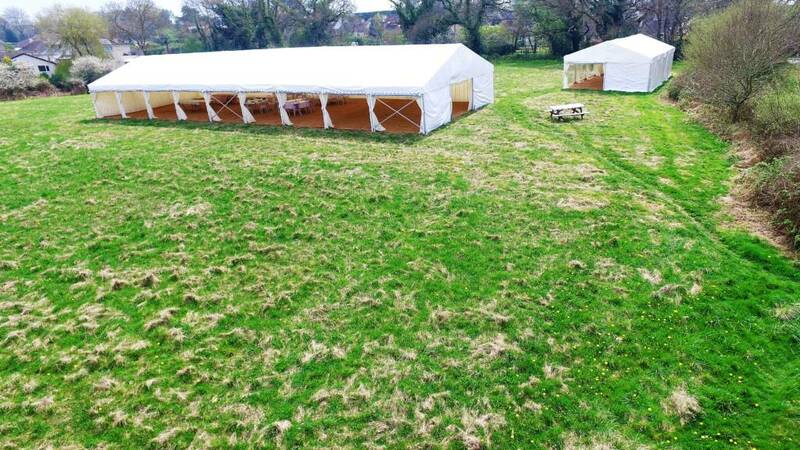 Here’s some pictures from our spring open day in April. 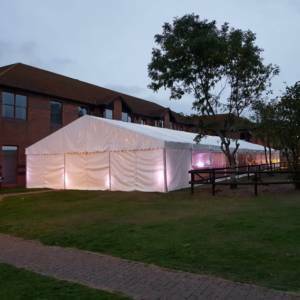 We had our 9 x 30 metre Marquee up as well as a medium sized Marquee for everyone to view. We also had our furniture on display including chiavari chairs, 6′ round tables and our dance floor. 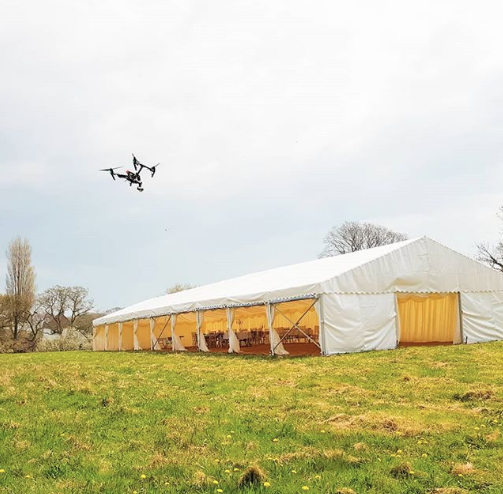 We had Dronemagic here to provide aerial shots and help us show the size of the 9 x 30 from the sky. 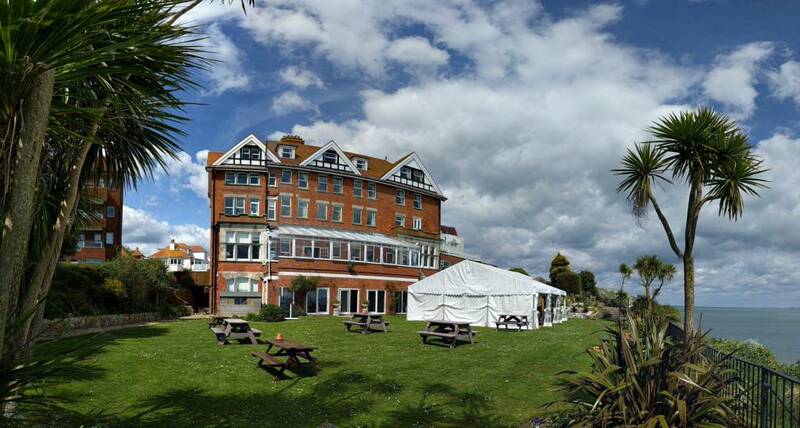 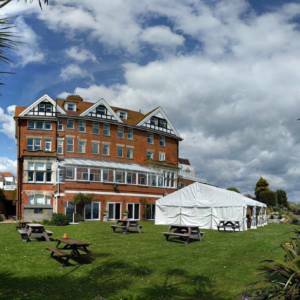 Here we have a 9 x 12 metre Marquee at the Grand Hotel in Swanage. 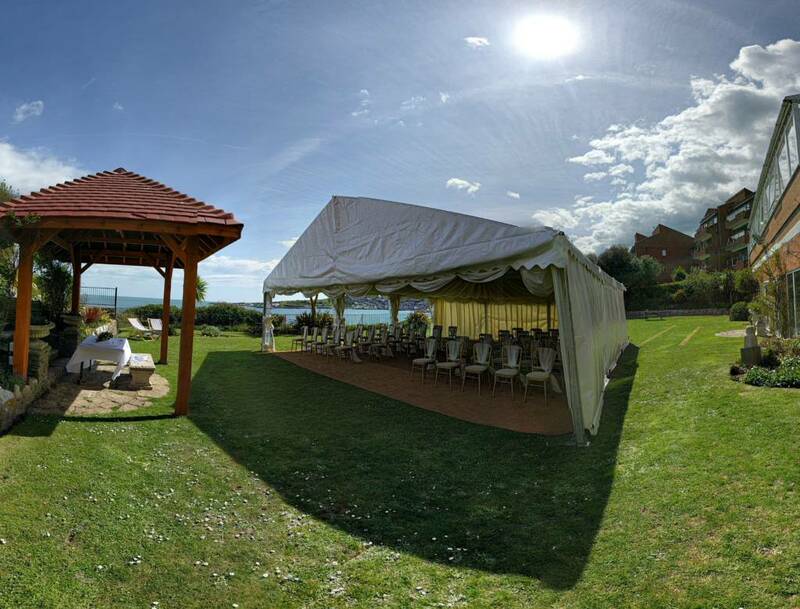 The happy couple wanted a relaxing, seaside wedding and this venue was perfect with their gardens overlooking the sea. 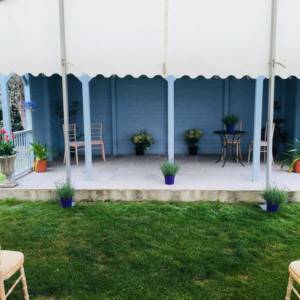 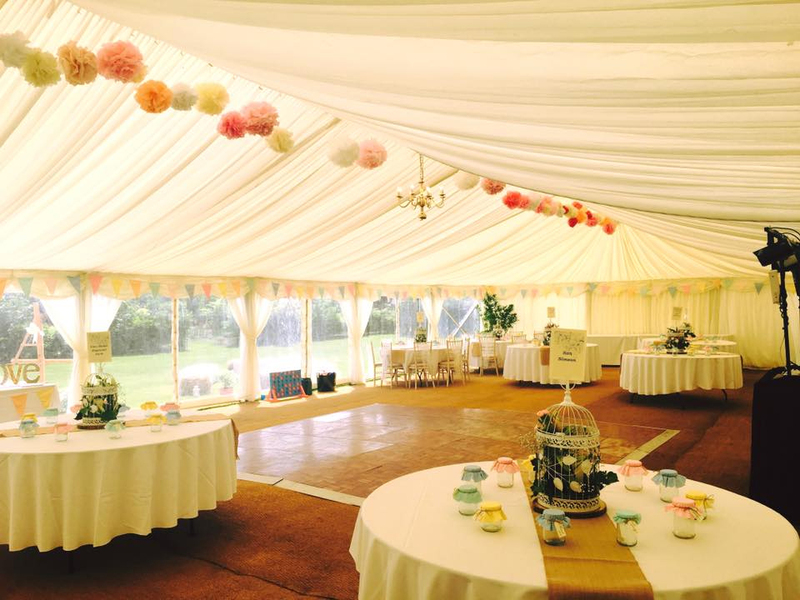 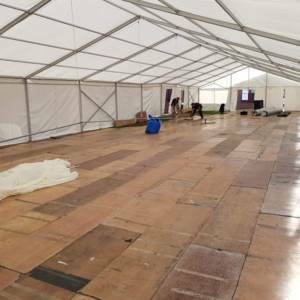 We supplied the Marquee, linings and flooring as well as the furniture. 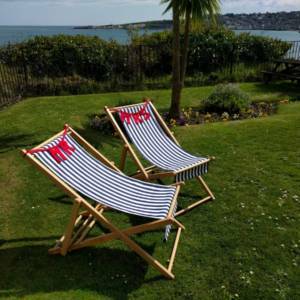 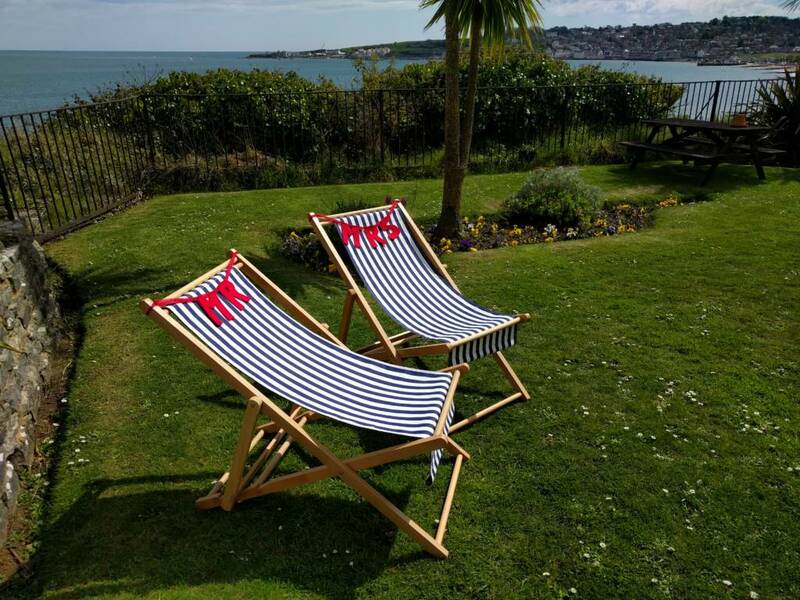 The additional deck chairs are from our friends at Perfectly Pretty Weddings. 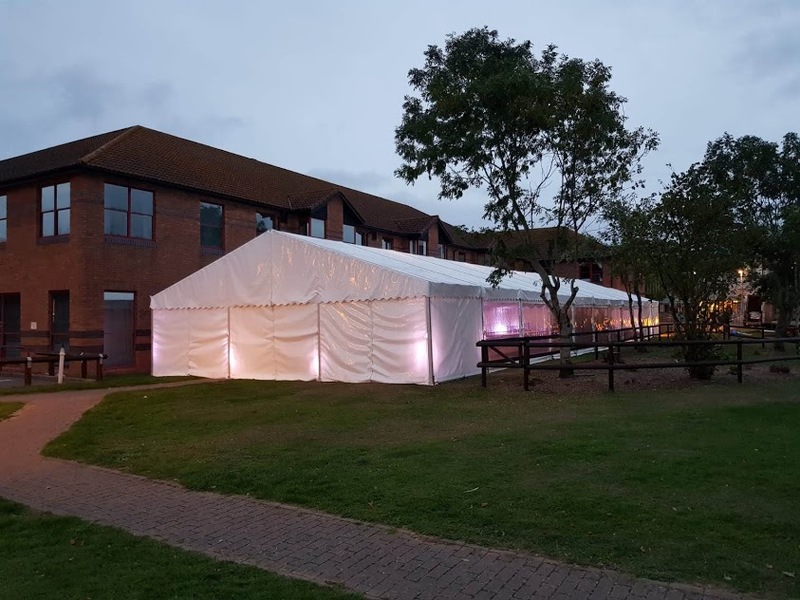 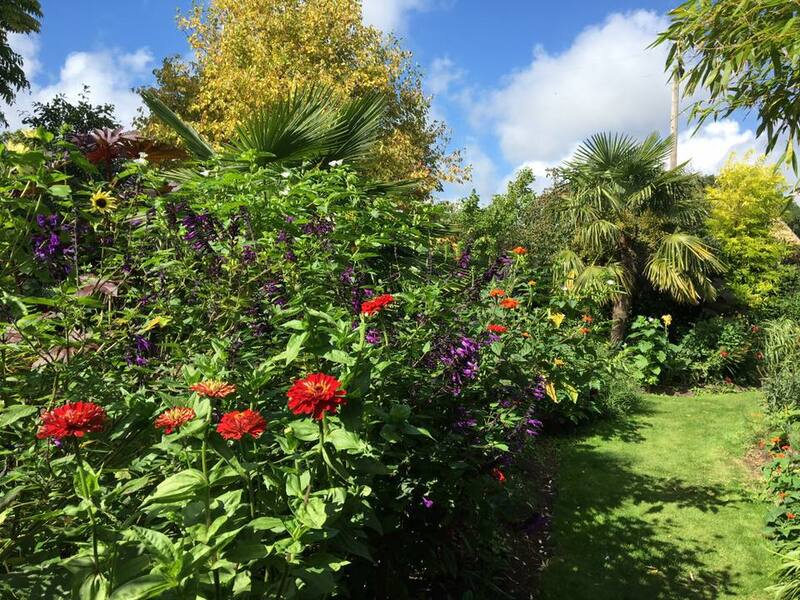 Our Marquees are perfect for Corporate Events and offer a unique outdoor space that can be customised to your requirements. 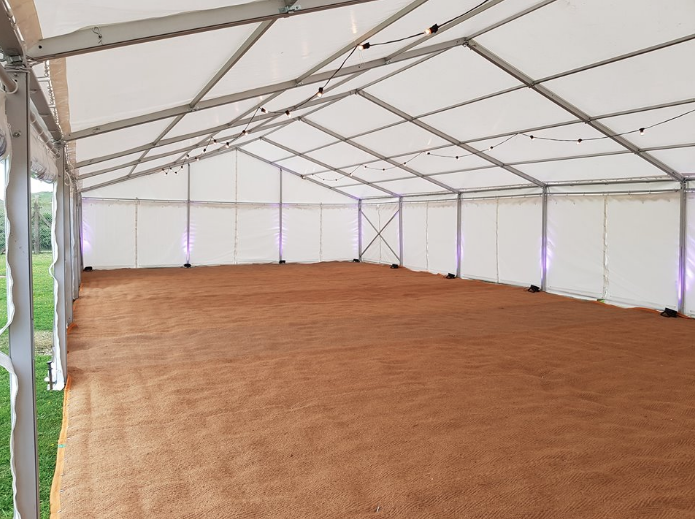 Here’s a selection of pictures from a Corporate Event where we supplied our 9 x 21 marquee, hard flooring, furniture and accessories. 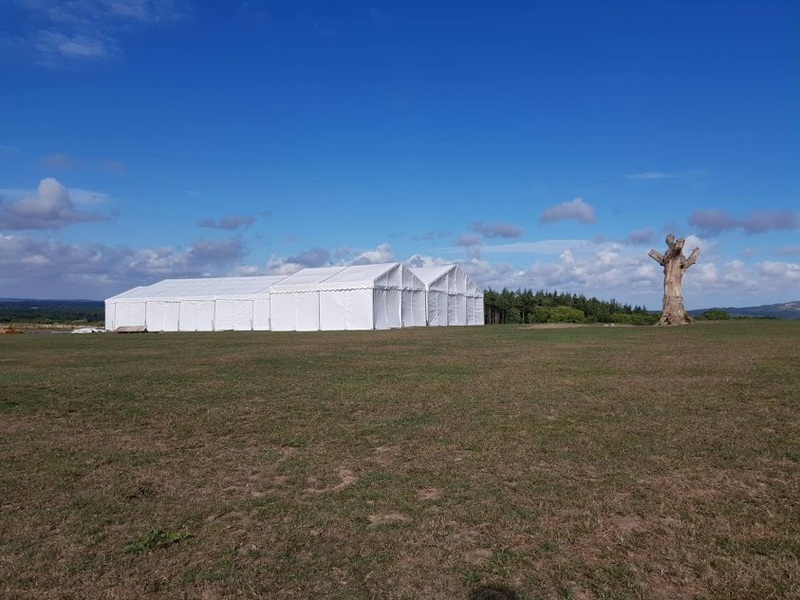 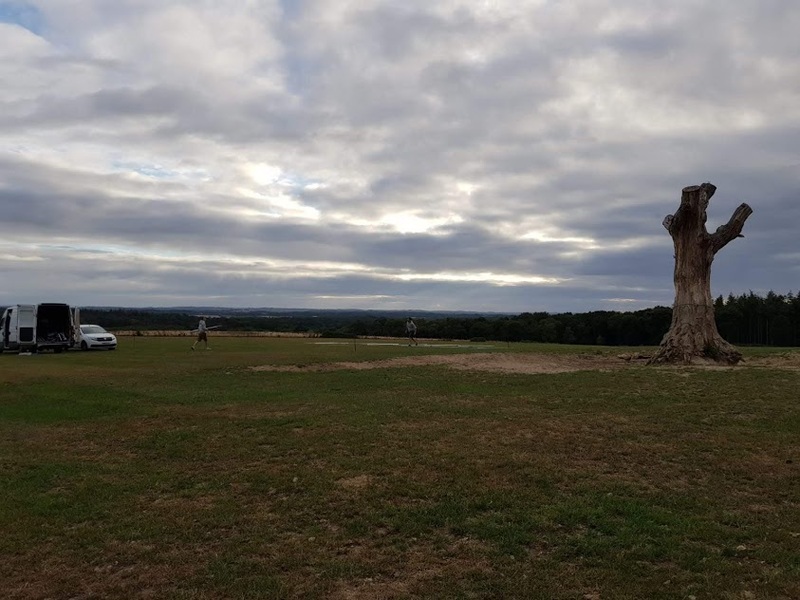 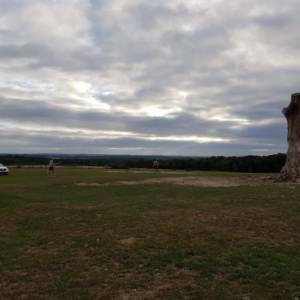 We had a brilliant Wedding at the Party Fields in June. 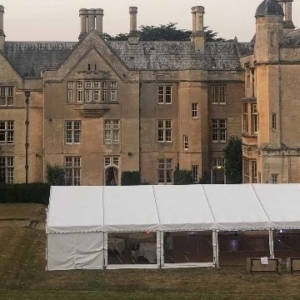 Two of our Marquees went out and a selection of Furniture. We helped supply the Chivari chairs, tables, lighting and dancefloor for this event. 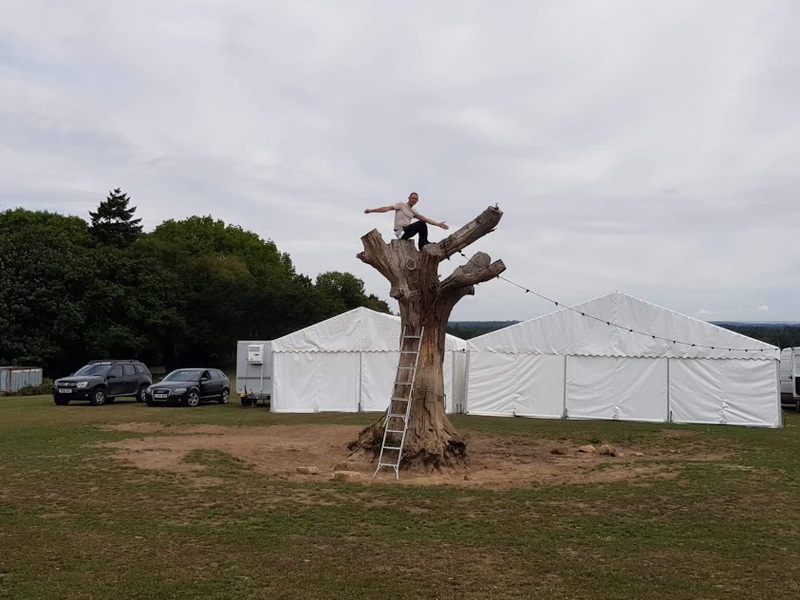 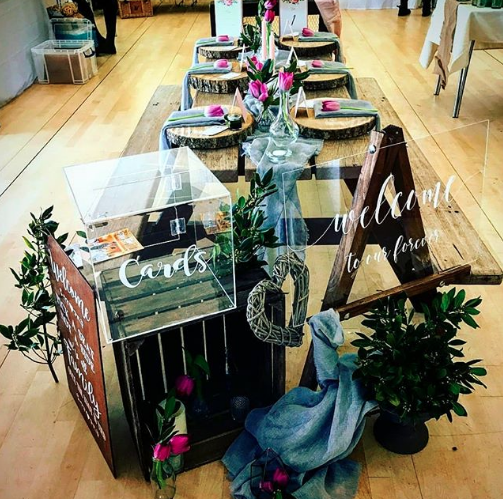 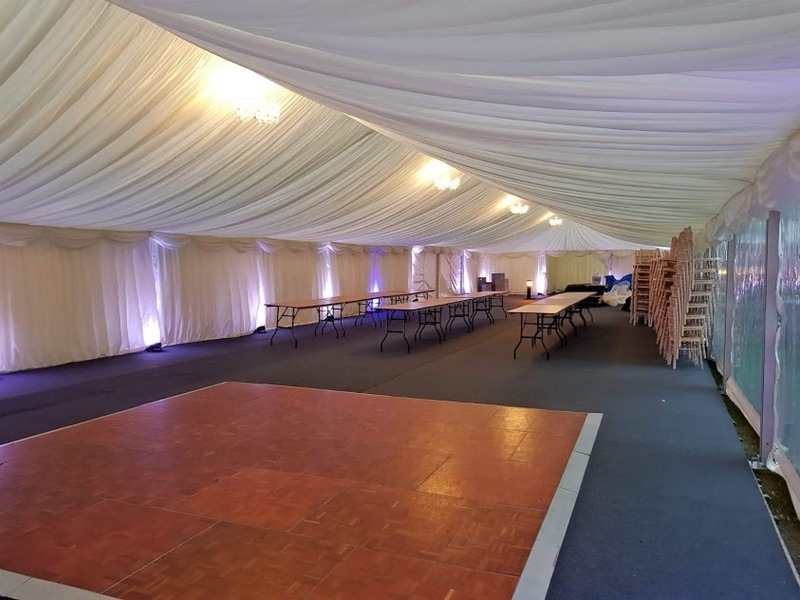 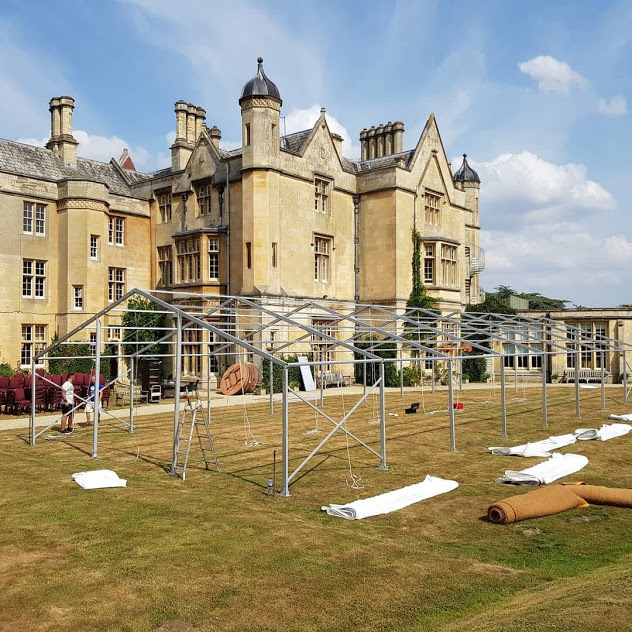 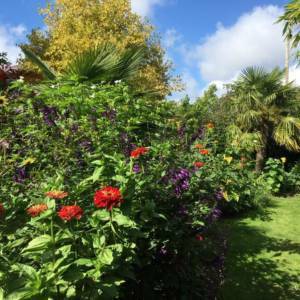 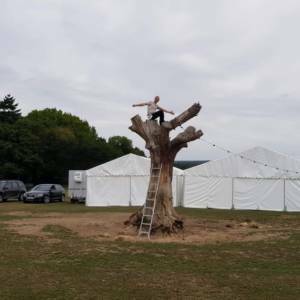 Our team worked with the client to ensure the set up was completed within their time frame and everything was off site swiftly after the event. 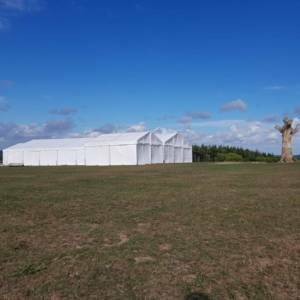 Our specialist team can not only advise what’s possible but they will find a solution to meet your requirements. 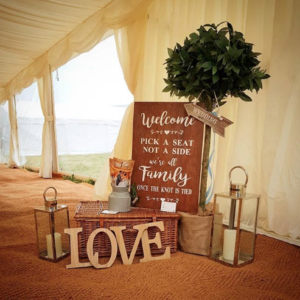 This Marquee was for a special couple who wanted it in the middle of the forest! 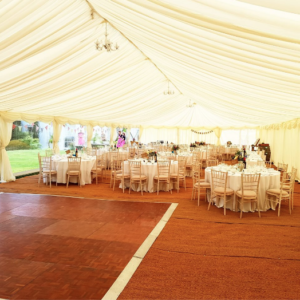 We supplied one of our larger marquees, flooring, wedding furniture and lighting accessories. 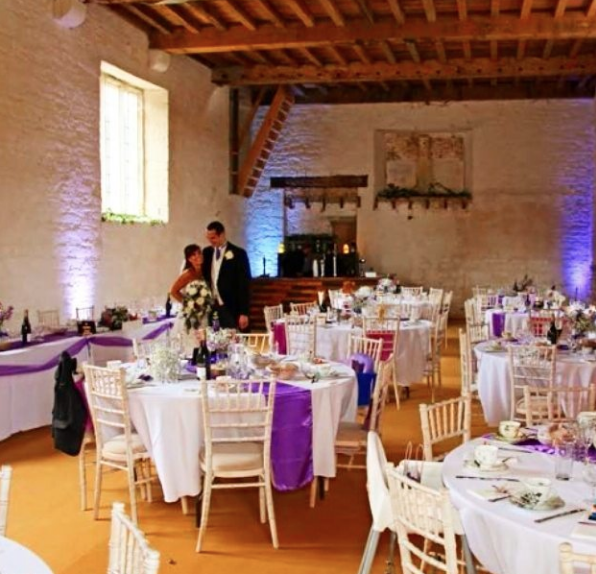 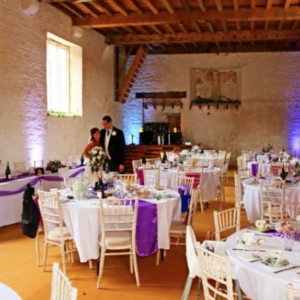 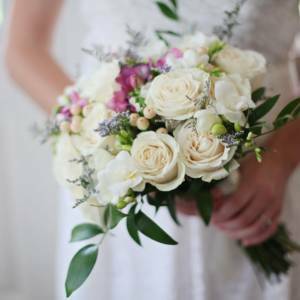 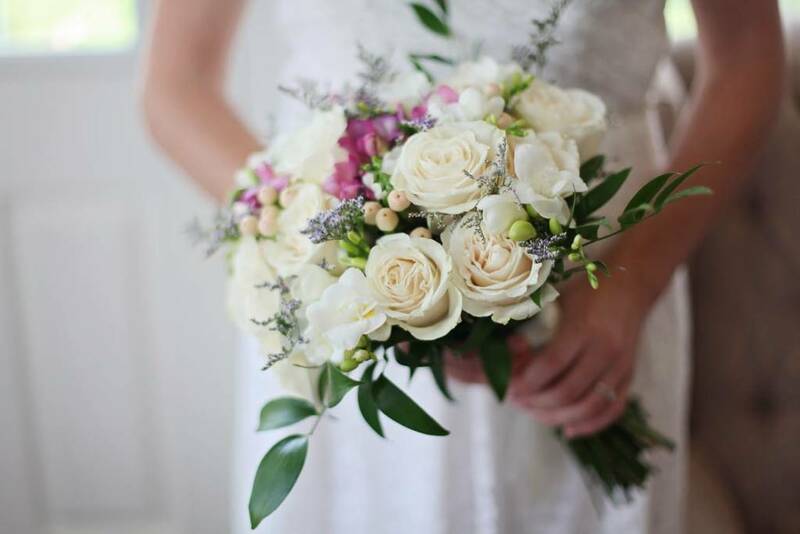 We had a great weekend working on our lovely clients wedding at Wherwell Priory in Hampshire. 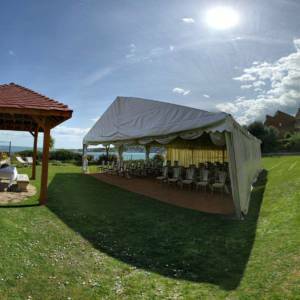 It was a pleasure working on this wedding and all of the other suppliers involved. 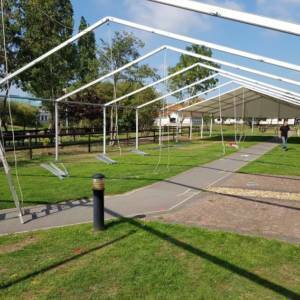 We hired our Marquee, wedding furniture, dance floor and lighting for the special occasion. 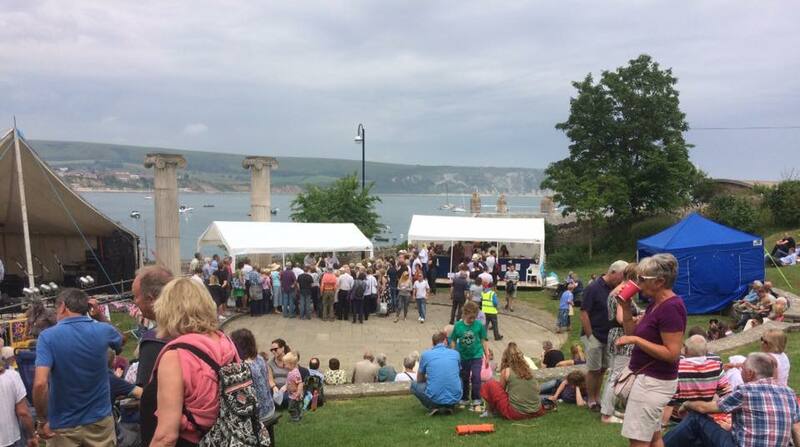 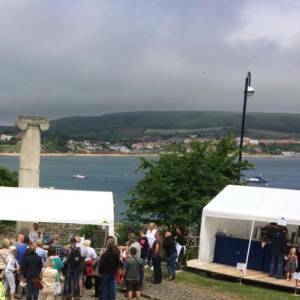 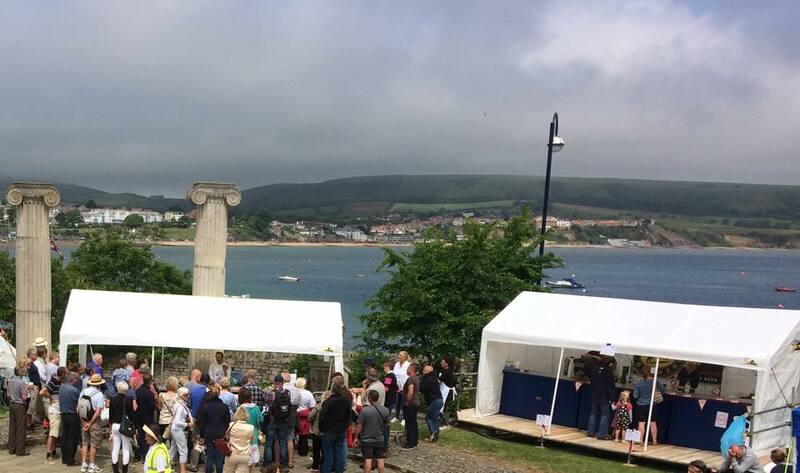 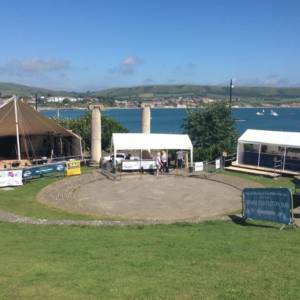 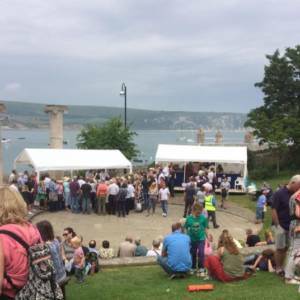 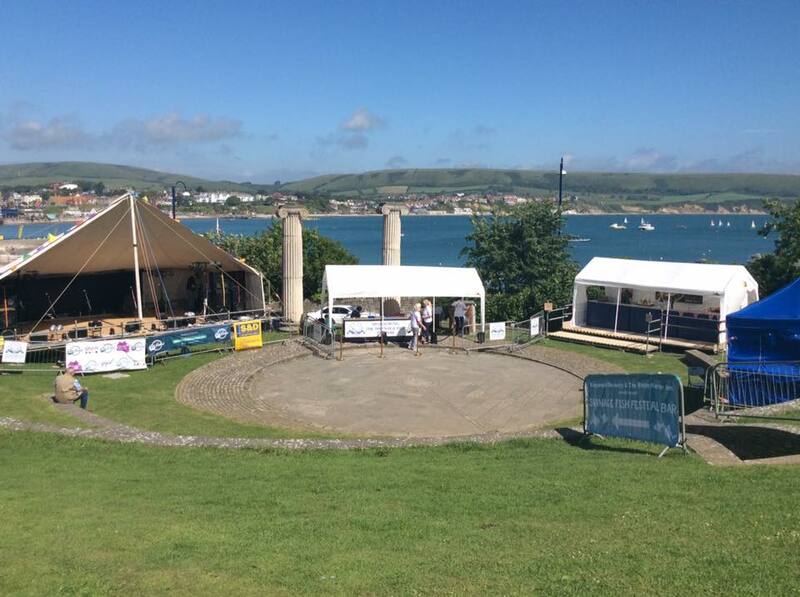 Chique Marquees sponsored the Swanage Fish Festival last year. 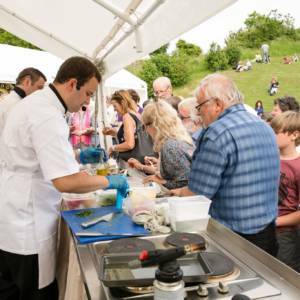 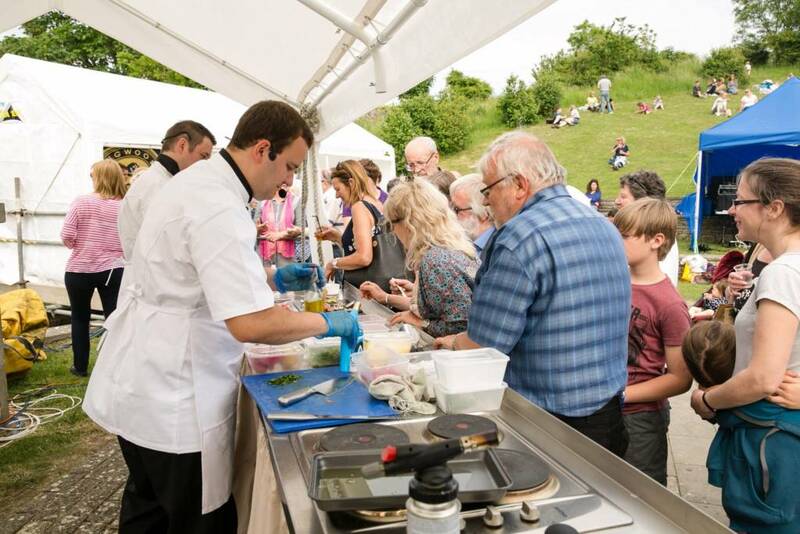 This event draws in big crowds and the Chef’s and display team can take advantage of the cover when doing their demonstrations. 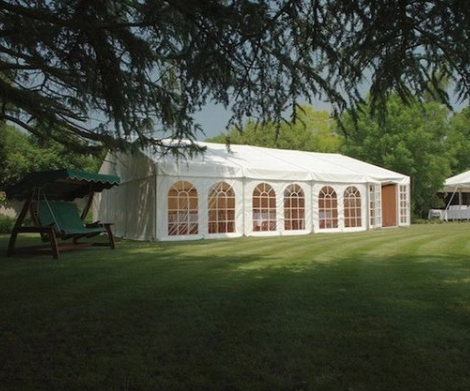 If you’re looking to hire a Marquee for your corporate event then please get in touch. 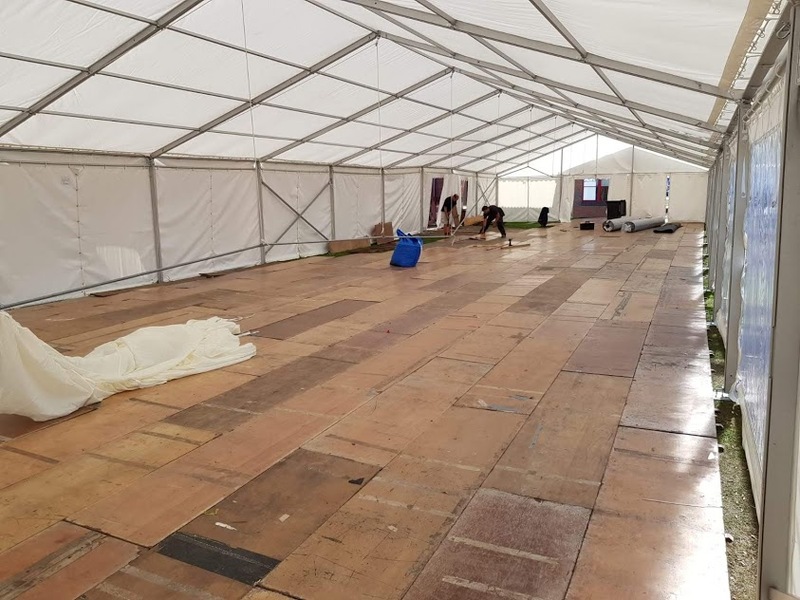 There’s no job too big or small for the team is this one was BIG! 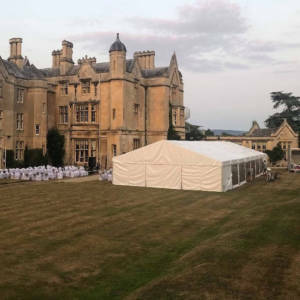 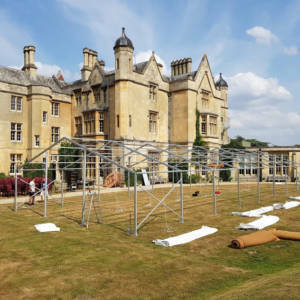 We travelled up to Cheltenham with one of our biggest Marquees for a very special wedding. 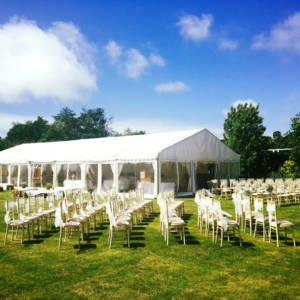 Chique Marquees supplied the Wedding Marquee, furniture, dance floor, lighting and all of the wedding furniture. 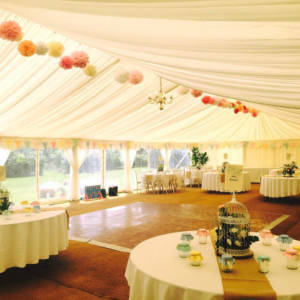 Here’s a couple of pictures we’ve been sent from happy couples we’ve worked with over the past few years. 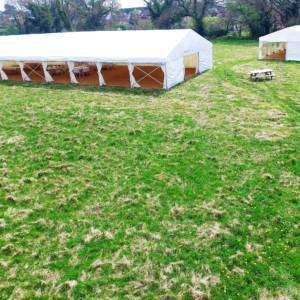 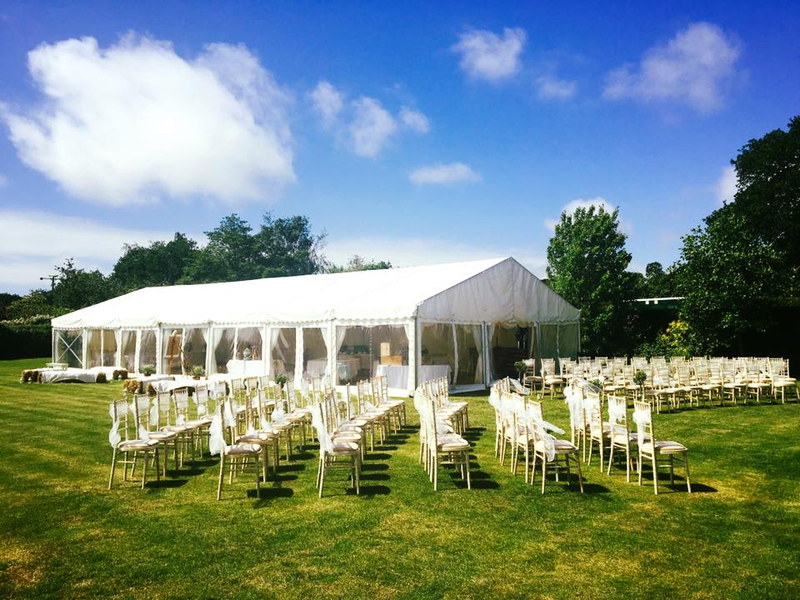 If you are looking for a Marquee or to hire any of our Furniture then please contact us today. 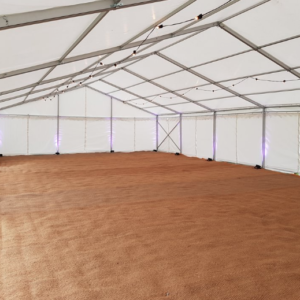 We have a wide selection of additional items that can be hired from dance floors to specialist lighting. 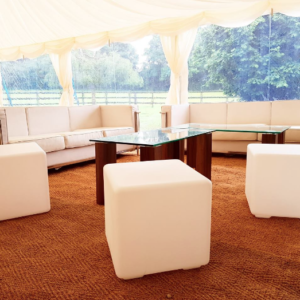 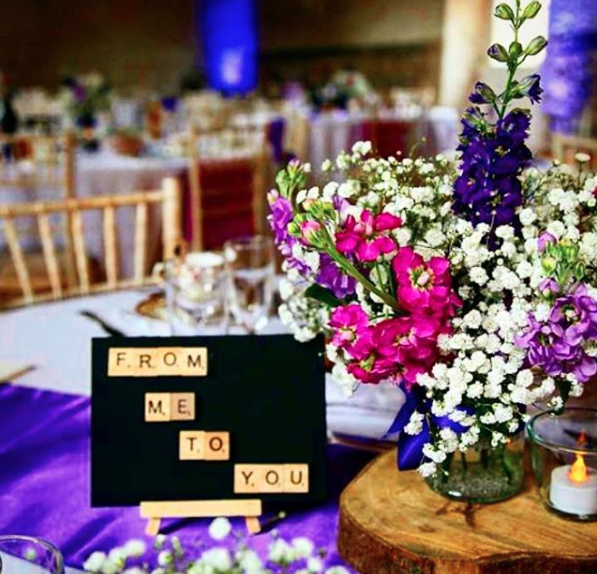 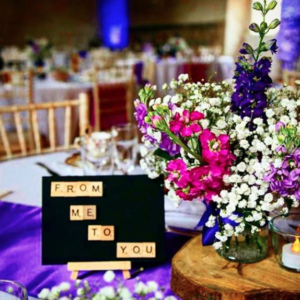 Our furniture is perfect for weddings, corporate events and parties. 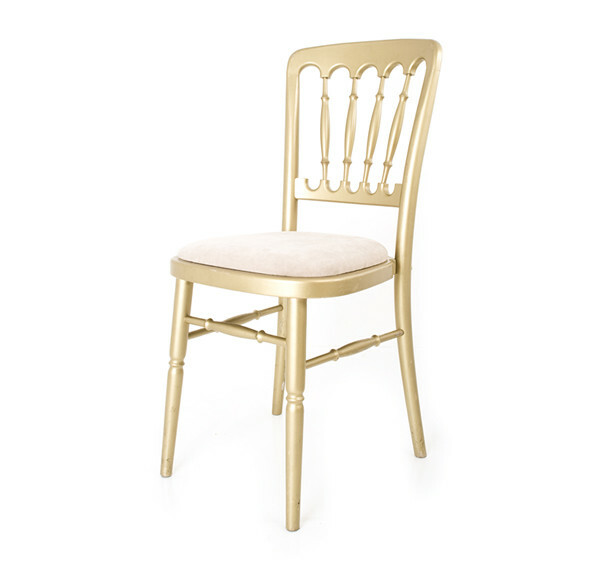 We have a range of chairs and tables including chiavari chairs, gold Cheltenham chairs or white bistro chairs. 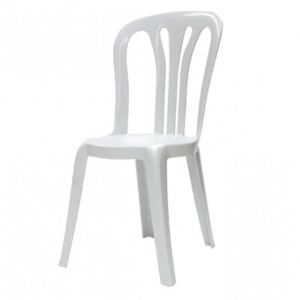 Our chairs will include plush seat covers which will also be supplied when delivered.